A side/front view of the electro-mechanical elevator controller seen in the last shot. This had been out of service for some time. In the late 1990s, the hotel underwent significant renovations, and at that time, the elevators were modernized. 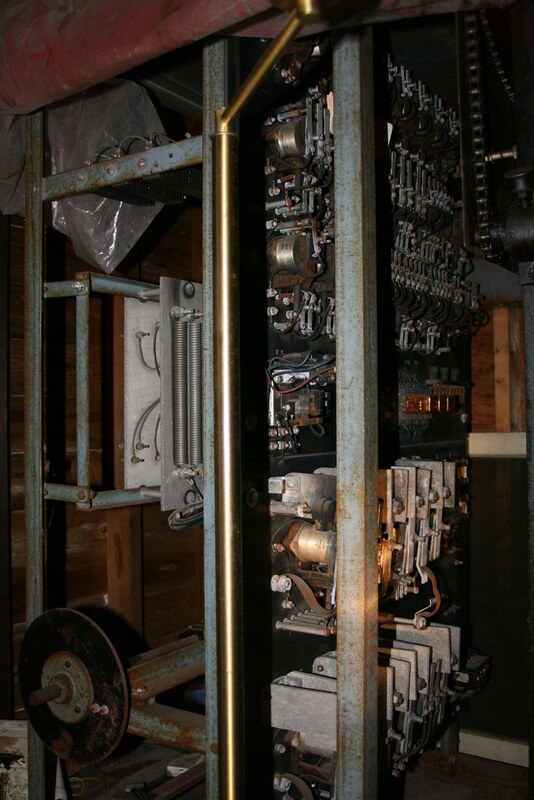 Although the elevator still has a swing door, and although the Seaberg cab is original, the fixtures and the controller were replaced.